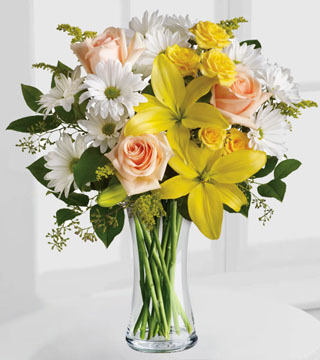 With a beauty reminiscent of the south of France, this pretty arrangement holds nothing back. 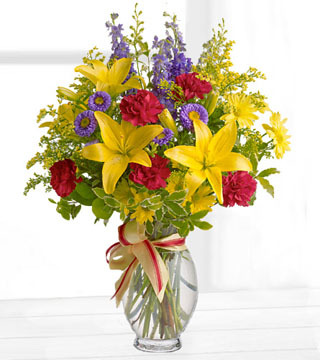 The colours, the flowers and the feeling of Provence are all present in this wonderful bouquet. 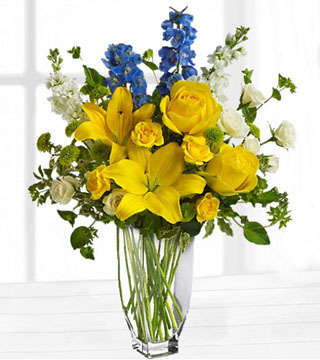 Yellow roses, spray roses and Asiatic lilies, white spray roses and stock and the ever-delightful light blue delphinium are delivered in a clear vase. C'est magnifique!